Station 11 | Just Shooting Memories! Sunday morning, I had a hard drive failure. Not just any hard drive, the one with my last years worth of photos. NOT good… In fact, really, really, BAD. I have spent the last week in recovery mode. At least it was not a hardware failure. It was just a write error, CRC for anyone that knows. Of the approximately 100,000 photos from the last year, I only lost about 2000. Most of those were from two different time lapses that I had finished working on and exported. It just kinda bites that I will not be able to go back and adjust anything in them now. Lesson 1 – 10: BACK-UP everything and frequently. I now have several hard drives that I am going to be keeping synced. 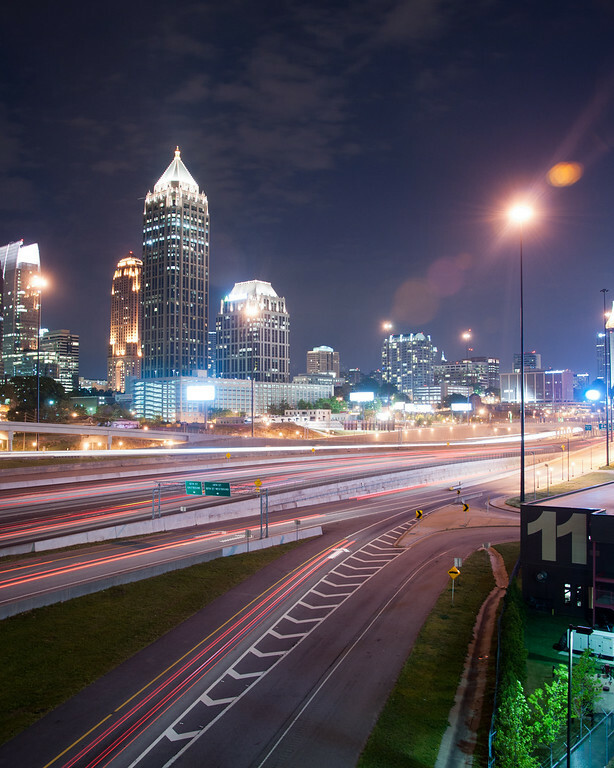 Last weekend, prior to the crash, I went to Midtown Atlanta for some nighttime skyline shots. My plan was to shoot from the 17th street bridge south. Unfortunately, that side of the bridge was closed for construction work and I could not get what I wanted. I did get this shot from the Atlantic Station side of the bridge. The 11 is on the side of Atlanta Fire Department Station 11. I’m gonna wait a couple months and hope that the construction is gone and try again.